I've been trying to set up Ubuntu 14.04LTS and Windows 8 for quite some time now; several months. I've had over four failed attempts. I finally gave up and worked on Ubuntu in VMware from inside Windows. But now I feel I really need a dual-boot and a VM is just not sufficient. OK. So the REAL MESS is... In a frantic effort to get a dual-boot set up, I messed up the hard disk partitions really badly. Also, I tried with Fedora 20 on reading somewhere that it supports UEFI and SecureBoot; but even that failed. 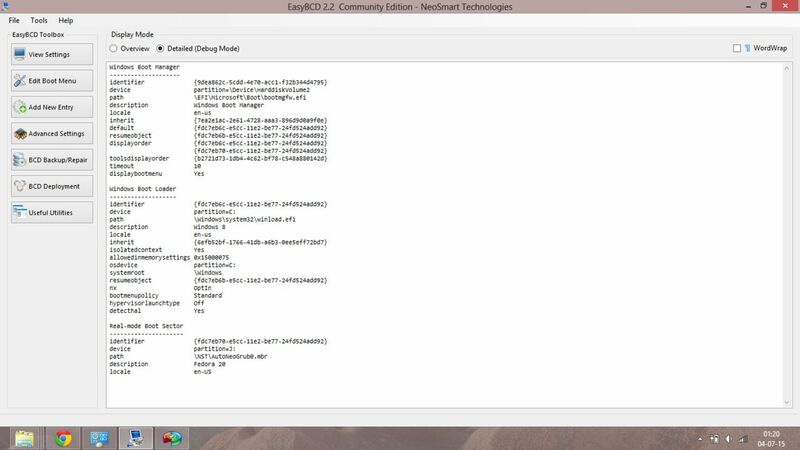 When I switch on my PC, I get the Metro-UI Windows bootloader. However, on restart, I am presented with a non-Metro-UI OS selection menu with OS selection options, viz. Windows 8 and Fedora 20. On selecting Fedora, an error is presented. Windows boots fine. WINRE_DRV is a windows recovery system drive and shouldn't be touched. SYSTEM_DRV is a system drive (no idea what for) and shouldnt be touched. LRS_ESP is a system drive (no idea what for) and shouldnt be touched. PBR_DRV ...contains a flag of WRE, but I already have a recovery drive! So even this is unknown. And if I look at "Computer" in Windows Explorer, it shows some unexplained drives of a few MBs. There are also some more partitions that are not visible to Windows, probably because they were in ext4 when I had attempted the Fedora 20 setup. 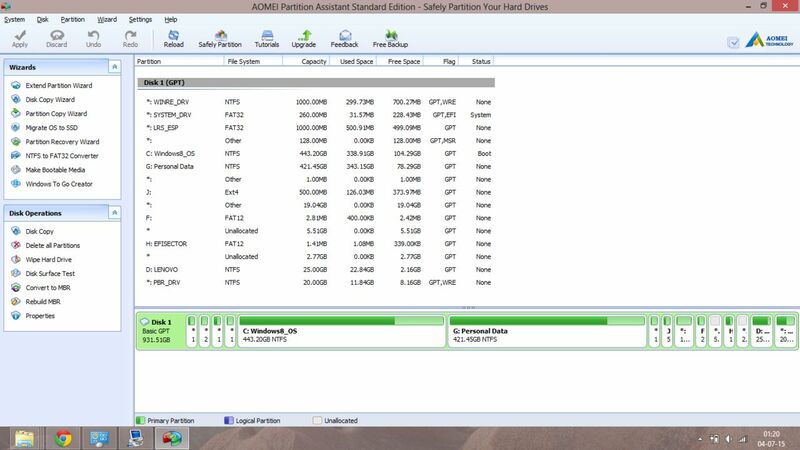 You can see these 'invisible' drives in the AOMEI screenshot above. Now I wish to clean up all this mess and do a clean Windows 8 and Ubuntu 14.04 LTS dual boot. First, should I install 15.04 or 14.04LTS given my situation? I read on AskUbuntu that dual booting is a breeze with 15.04. But the "LTS" will be missed and I would prefer LTS. Second, should I upgrade to Windows 8.1? 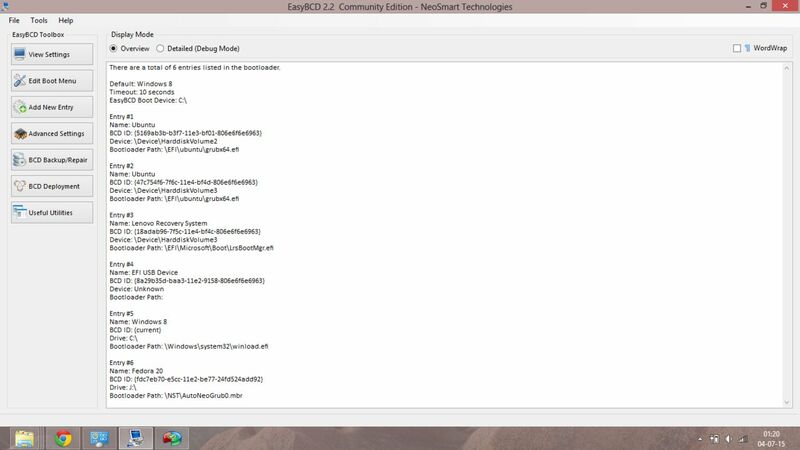 Will upgrading later on after a (hopeful) dual-boot setup mess up my configs again? To answer your two questions, I would go for 15.04. It's stable enough. I don't think upgrading Windows will mess up boot records, no matter if they're MBR or EFI. 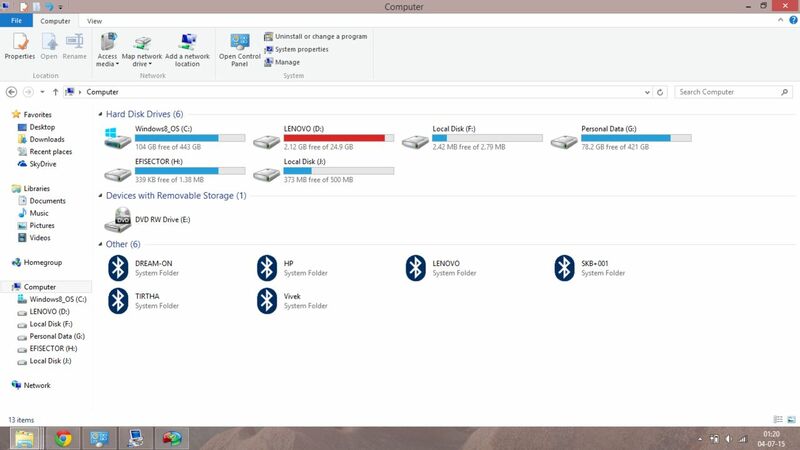 About the clean install, I suggest a restore of Windows because I can see you have a backup partition LENOVO. Afterwards, you should try to install Ubuntu in EFI mode. Not the answer you're looking for? Browse other questions tagged ubuntu windows-8 boot multi-boot or ask your own question. Dual boot, two disks and poweroff unused disk?